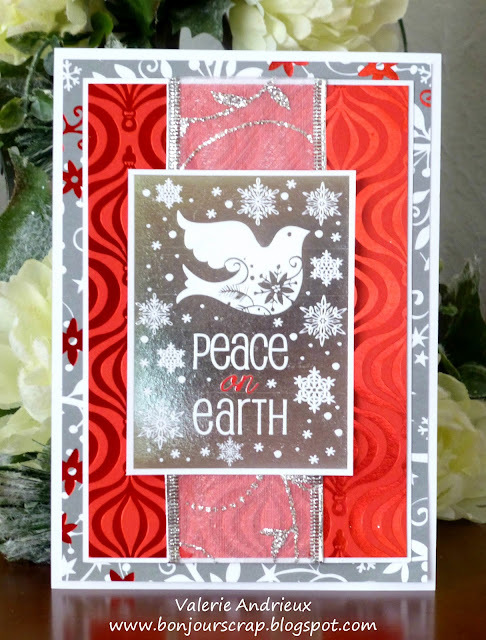 Just a layered card for today, with one of the most wished gift for all as sentiment. To create this 5"x7" card is used a Recollections pad and a big wired satin ribbon (the kind you use to make bow on gifts). Nothing fancy but the message is poverful by itself. So very pretty! Love the ribbon in the middle. Gorgeous colors!